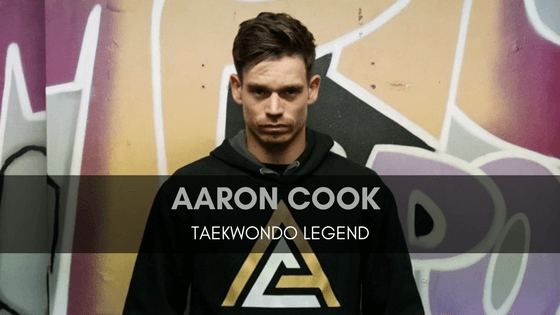 Today’s interview is with the legend that is Aaron Cook, Aaron talks about his journey from competing as a child right up to his current competitions and how he’s looking to the future 2020 Tokyo Olympics. Then its a chat about his eventual book, the biography of his ups and downs twists and turns and what the title of the book will be called and why. As Aaron is still competing at elite level, training is a big part of his life we discuss his new training facility and how he welcomes other elite fighters to come stay with him and work out together. Next on the list is competitions, which events he will be attending to gain those all-important ranking points. Support is a big thing for any elite athlete, Aaron has none of the normal extras a national team player normally expects, now self-funding his seminars around the world he teaches have been a big part in helping him financially, book one now!!! Aaron has many tkd memories, find out in this episode what his fondest memory is. The Grand Prix events are next on the conversation, how easy is it for an up and coming athlete to break into these elite series of competitions and what does it take. We move swiftly onto Tokyo 2020 and about the qualification to ensure we have team Cook at the Olympics once again. Then it’s onto the subject of “Love” Bianca Walkden his girlfriend also an elite tkd fighter of the highest level, how does it work, when did it happen and was it love at first sight! Then finally what makes Taekwondo different to other martial arts and what does it take to be a black belt. If your interested in seeing more about Aaron, we have included his social media links below, be sure to check them out as you will find some great content.